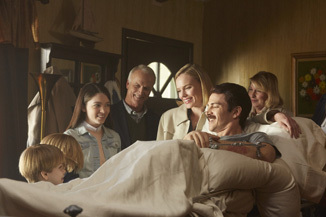 Kim Hollis: The faith-based film 90 Minutes in Heaven started this weekend with $2 million. What do you think of this result? Jason Barney: The path for success is going to a bit different for this one. Even with the limited budget of $5 million, at best this is going to be a push. Weekend number one needed to have an opening just a little bigger; at this point it has earned only half the budget back. It was never intended to be a huge opening, and the theater count is pretty low, so its chances were limited from the start. It may be out of the top 10 by Monday or Tuesday. Who knows, perhaps Christians will want to see this, along with War Room, over the next few days, and drops end up being insignificant. I would think it is going to be gone pretty quickly, though. Ryan Kyle: As an opening weekend, this is quite disappointing. With a targeted release in only 848 theaters, the PTA should be in the $3,000 range at the bare minimum. I feel like next weekend's drop is going to tell the full story if this is a break-even success or a failure. However, once again, an opening like this shortly following the War Room shows how fickle the Christian-faith flick audience can be. Kim Hollis: Eh, it's okay. I don't know how much they were realistically expecting here. This one is probably too close on the heels of War Room, I suppose. I admit that I never understand which of these faith-based films will break out. Edwin Davies: Since the film stars Hayden Christensen, I can only assume that this means that even Evangelical Christians aren't ready to forgive him for the Star Wars prequels. There's some stuff that even God can't forgive. More substantively, I think this reinforces a pattern we saw last year which was that the success of Christian films tended to help out Christian films, but only if there was a suitable gap between them. Coming immediately on the heels of War Room, which has been a bigger hit than most people expected and seems to be connecting with the faithful, meant that 90 Minutes in Heaven got largely overshadowed, and didn't come with the same credibility with its audience that War Room had coming from the Kendrick brothers.